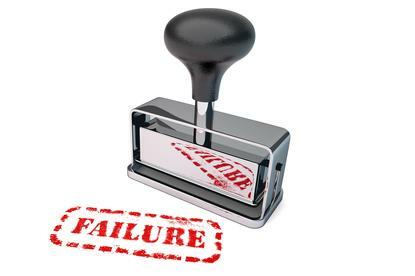 Failure is an integral part of being innovative and it’s time organisations better embraced incentives, financial systems and organisational processes that support it. That’s the view of PricewaterhouseCoopers US innovation leader, Mitra Best, who was on a panel of women leaders discussing how to drive innovation across an organisation. “Innovation is not an extracurricular activity anymore, it’s a baseline activity,” she told attendees. But in order to be innovative, you have to also be willing to fail. Best identified four key ways an organisation can make itself more receptive to failure, the first of which ensuring compensation models support it. “Incentive and compensation models can’t punish failure; if you are experimenting, you can’t get deep with your experiments without it,” she said. “The second thing is learning and continuous education. At PwC, we have a huge learning and development group that has a big budget and is putting together tens of thousands of courses every year. But what we need to do is look at failed experiments, extract the learnings and then scale them. Best’s third piece of advice is to reorient investment models to allow for failed experiments. Best’s fourth call was for finance chiefs to budget for failed experiments when they think about ROI metrics. “That makes it easier for all of us to do the other hard things we need to do around innovation,” she said. Fellow panellist and Adobe SVP and CIO, Cynthia Stoddard, said it’s also a cultural issue. Companies need to give people time to both grow and experiment, she said. One way of helping shift thinking around failure is to change the vocabulary, Adobe VP of global business partnering and ERC, Cindy Springsteel, said. “The word ‘failure’ throws people off and if you’re risk averse, that language can feel threatening,” she said. For CA Technologies VP of digital marketing, Lynn Teo, it’s about adopting a test-and-learn approach that has iteration at its core. She positioned this as a reduction in waste and improvement in efficiency overall. -Nadia Cameron travelled to Adobe Summit in Las Vegas as a guest of Adobe.